has been postponed so that DEFRA and the government can have a thorough look at the details of Ross's proposals. 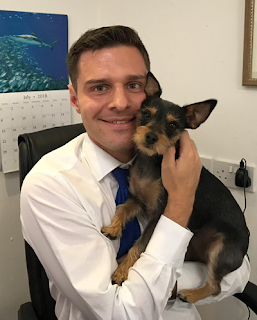 Please tell us about your own pet(s) and what they mean to you?I have a two year old Jack Russel cross Yorkshire Terrier called Poppy. The worst part of my job as an MP is every Monday morning and having to leave her to travel down to London. The fact she knows I’m leaving and does her uptmost to make me feel guilty about it just makes heading to London so much more harder. I could not imagine returning home to find that Poppy wasn’t there, I don’t even want to contemplate the notion of her being stolen. For me, just like the millions of pet owners across the UK, Poppy is my family. To be honest I’m like a proud Dad. She has her moments, like any teenager, but I love her to bits and I would hate it for anything to happen to her.